The Crabtree family donated two Automated External Defibrillators (AEDs) to the North Stone Northeast Barry Fire Protection District on Monday, April 8. Pictured above, from left to right, are John Arrington, Tom Crabtree, Tom Hinkler, Chief Nathan McCullough, Scott Crabtree and Debra Steele. 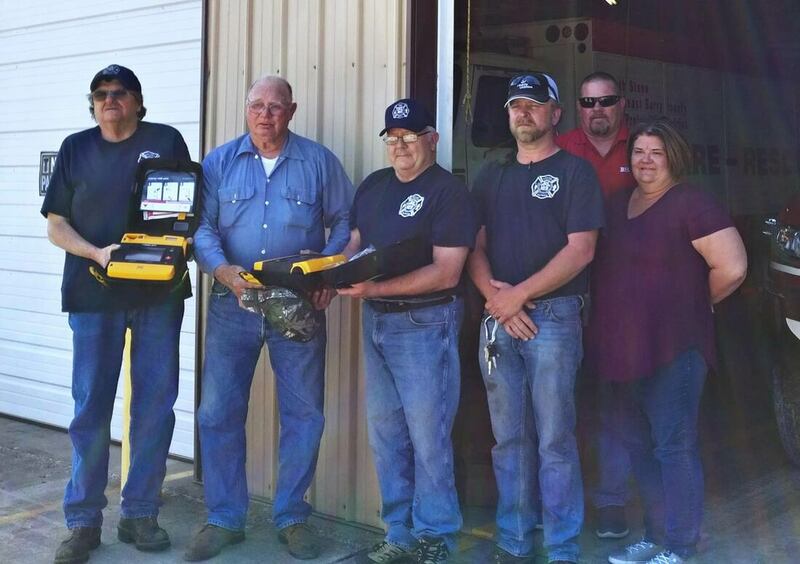 A Stone County family donated two life saving devices to an area fire district this week. After Barbara Crabtree passed away in January of this year, the family decided to raise money to donate Automated External Defibrillators (AED) to the North Stone Northeast Barry Fire Protection District after their firefighters worked to try to save Barbara’s life. The family decided to raise money for the equipment. In all, they were able to raise around $1,600, enough to purchase two AEDs and additional single-use pads. The donated AED equipment attempts to restart the heart of a patient with electricity, something regular CPR cannot do. “If we had these that night, we would have used it and the outcome might have been different,” Arrington said. The family was able to purchase the AEDs at a discounted price. They typically cost around $1,500 each. The brand of device purchased is the same as used by Cox EMS, which serves the area. “That way, they are interoperable and we know exactly how to use them,” Crabtree said. The AEDs will be kept at the Galena and Crane stations, according to NSNEB leadership.